Natural Photo Albums from Bali Indonesia. These photo album comes in four sizes: Small 19x22cm, Medium 22x26cm, Large 26x36cm Extra Large 36x31cm. Also available as journal (notebook) address book (phone book). Please clearly state your selection when ordering. email us using our online inquiry form for pricing. Balifurnish owned by CV MAYA, Indonesian arts and crafts export company. Manufacturer company for batik sarongs fashion accessories, bali handicrafts and garden teak root furniture located in Bali and Yogya. We're able to source any Indonesian handicrafts. Home accents and garden decorations made in Indonesia. We're wholesaler. Price exclude shipping. Buyer pays freight. We're constantly looking for partners worldwide to market our products, info about our Bali handicrafts company. 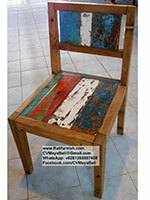 Please visit our Arts and Crafts Store in Bali Indonesia to view our home accents and garden decor products.